Publications on smart city development and smart cities. On this page, you can explore publications on smart city development and smart cities published or supported by bee smart city. The following smart city publications are invaluable resources for government officials, decision makers in city subsidiaries, managers of solution providers, researchers and interested citizens. Some of the following publications are available as free download, others can be purchased. For additional information regarding individual publications or in case of questions and suggestions, please do not hesitate to contact us. Der 'Handlungsleitfaden Smart City / Smart Region für Praktiker*innen' zeigt Ihnen konkrete Handlungsschritte für die nachhaltige und praxisorientierte Transformation Ihrer Kommune zur Smart City auf. Der Handlungsleitfaden stellt Ihnen drei Handlungsschritte vor, die eine sukzessive Weiterentwicklung Ihrer Kommune zur Smart City fördern und das Ökosystem von Smart-City-Lösungen in Ihrer Kommune systematisch beschleunigen. Checklisten und Beispielpräsentationen unterstützen Sie dabei. Fordern Sie den kostenlosen Smart City Handlungsleitfaden für Ihre Kommune noch heute an. 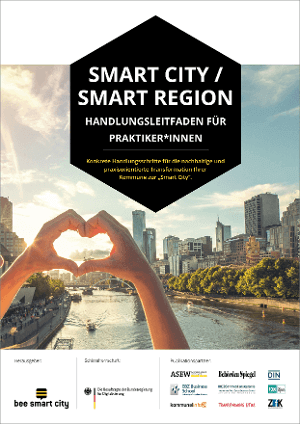 [fa icon="caret-right"] Hier den Smart City Handlungsleitfaden kostenfrei anfordern! 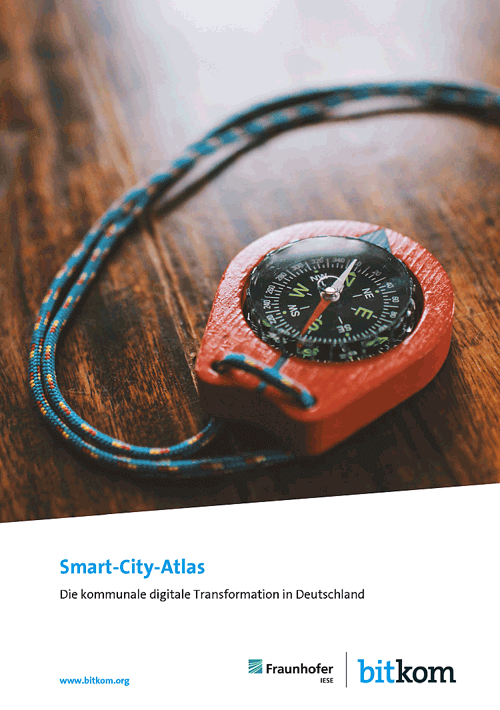 Der Smart City Atlas der Bitkom zeigt Ihnen, welche 50 Städte die führenden Smart Cities in Deutschland sind und wie diese die kommunale digitale Transformation angehen. Die Studie wurde in Kooperation zwischen Bitkom und dem Fraunhofer-Institut für Experimentelles Software Engineering (IESE) sowie den folgenden 13 Partnern erstellt: bee smart city GmbH, Capgemini Deutschland GmbH, Dell EMC (Dell GmbH), Deutsche Telekom AG, Ernst & Young GmbH Wirtschaftsprüfungsgesellschaft, Esri Deutschland GmbH, FIWARE Foundation e.V., Fujitsu Technology Solutions GmbH, Hewlett-Packard Enterprise, MasterCard Europe SA, PricewaterhouseCoopers GmbH Wirtschaftsprüfungsgesellschaft, Robert Bosch GmbH, Stadtwerke München GmbH. [fa icon="caret-right"] Hier den Smart City Atlas entdecken und herunterladen! The new book “Smart Cities, Smart Future: Showcasing Tomorrow”, provides a richly detailed and carefully researched overview of the people, processes and technologies driving the smart cities movement globally. The book includes descriptions of ongoing smart city projects in North America, Europe, Asia and the Middle East. 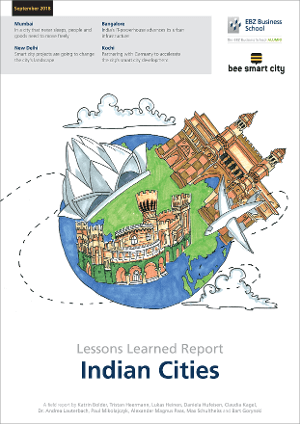 Written by Mike Barlow and Cornelia Lévy-Bencheton, the book includes a foreword by Di-Ann Eisnor, director of Area 120 at Google, and an introduction by Thomas Müller, co-founder and managing director of bee smart city GmbH. 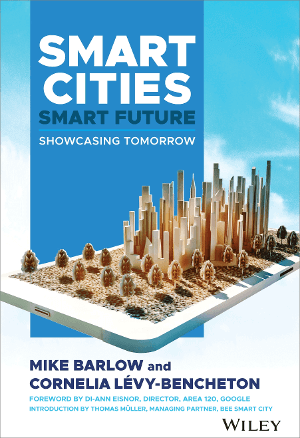 [fa icon="caret-right"] Learn more about the book 'Smart Cities, Smart Future' here! With its Smart Cities Mission, India hopes to generate a co-operative urban development model that can be adopted and replicated elsewhere.  The following report by EBZ Business School and bee smart city GmbH considers the Indian smart cities market from a real estate point of view, combining market lessons learned with personal career and management lessons learned by Indian market professionals. [fa icon="caret-right"] Read more about the "Lessons Learned report: Indian Cities" here and download the report!